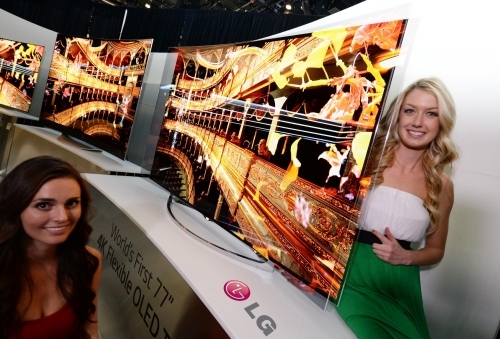 LG Electronics (LG) today took the cover off the world’s first Flexible OLED TV at the 2014 International Consumer Electronics Show (CES) in Las Vegas. With this groundbreaking TV unit, viewers can control the angle of curvature for the ultimate viewing experience that was only available in the realm of science fiction. What separates LG’s Flexible OLED TV from every other TV set in the world is that the curvature of the display can be altered using the TV remote to suit the viewer’s preference. The range of curvature was determined by taking into account key factors that affect the viewing experience such as screen size and viewing distance. Since the viewer can adjust the curvature, they can enjoy the best TV viewing experience, tailored to their tastes, every time. LG Electronics released on August 12 “Classic TV” that has an old-fashioned design that arouses the feel of the 1970s-1980s. The model has a retro design that features a rotary-type channel dial and wood frames, while having the simplicity of North European look. The Classic TV is actually a 32-inch LED TV that has a full HD (1920 x 1080) resolution, offering bright and clear images. With an IPS panel that has a viewing angle of 178 degrees, the Classic TV realizes natural color in any viewing angle. If connected with an external hard drive or a USB memory stick, it enables users to enjoy videos, photos, and music stored. LG Electronics expects the Classic TV to be loved by both the middle aged and the young people who still remember Gumsung TV, a TV brand used by LG in the past. The Classic TV will be sold at a price of 840,000 won. The company plans to provide a coffee machine as a gift to those who purchase the Classic TV. The global 3D TV market more than doubled from last year, despite the overall contraction in the TV market. The global TV market amounted to 51.22 million units as of the first quarter (Q1) this year, which is an eight percent fall from the previous year’s 55.54 million units, said market researcher DisplaySearch Sunday. Samsung Electronics had the highest stake in the global TV market as its shares rose three percentage points on-year to 21 percent. LG Electronics took second place with a 16 percent share, followed by Sony (seven percent), TCL (six percent), and Panasonic (six percent). Meanwhile, the 3D TV market continued high growth, expanding at a pace of 245 percent on-year from 2.09 million units last year to 7.19 million units this year. A refrigerator by LG Electronics is linked to smart devices. When receipts and bar codes of groceries are scanned with a smartphone, the list of items bought is automatically sent to the refrigerator. 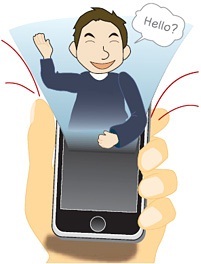 Information such as expiration dates or recipes are sent to the handsets. “Smart Home Net” solution by Samsung Electronics connects home appliances with smartphones so that they can automatically be checked and receive upgrades. 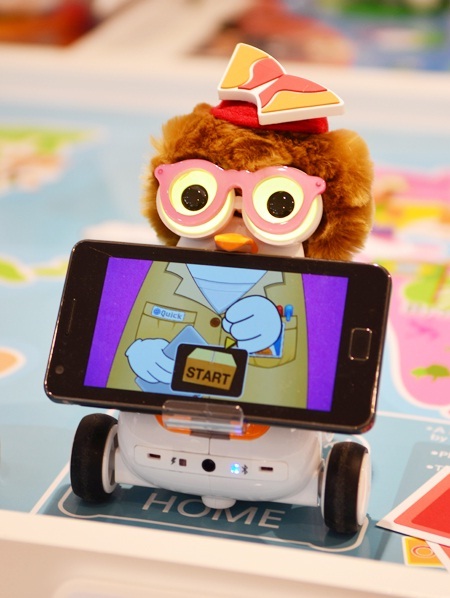 They are examples of “smart hybrids,” where diverse products, ranging from home appliances to cars, are being linked with devices like smartphones and tablets to turn smart. Heo Jeong-wook, a researcher at KT Economic and Business Research Institute, notes in a report that smart hybrids are increasingly being chosen by manufacturers as an easier and more effective way of making their products smarter, instead of producing appliances that are smart themselves. “An increasing number of consumers are becoming accustomed to smart devices. However, the debut of new electronics devices cause “technology stress,” Heo said. According to a Job Korea survey, one third of salaried workers said they feel anxious because they are not used to or don’t know how to properly use computers and the latest technology. They are, meanwhile, good at using smartphones, with three out of ten spending over three hours a day on them. He added that around 40 percent of Americans were using smartphones last year. 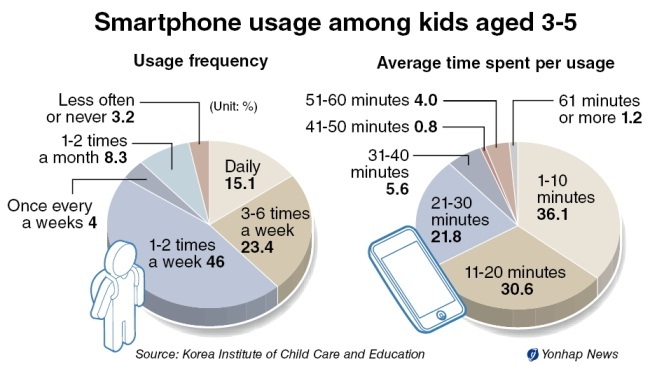 Korean Internet users spend 2.2 hours a day online, and they log on to the Web through smartphones rather than desktop computers. People now want to control other appliances with their phones and tablets. “There has emerged a one-device multi service paradigm, amid the expansion of smart hybrid devices,” Heo said. Three-dimensional (3D) technology is LG Electronics’ weapon of choice. Its aggressiveness to promote its in-house film-patterned retarder (FPR) 3D technology has secured another beachhead with a plant in Mexico. It is confidant of making its FPR 3D technology the industry standard. Inspired by a sharp rise in market share in countries from North and South America and the recent support from Japan’s Sony and Panasonic to use its technology, LG Display has opened its first plant in Mexico, mainly to produce modules for FPR 3D televisions. “More customers are asking us to supply more FPR panels for use in 3D televisions. 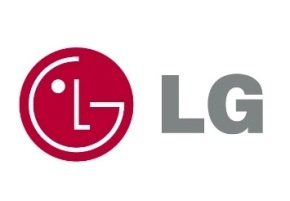 We just want to assert that LG is ideally-positioned for on-time delivery, committed to producing high quality products and offering better pricing by setting up a new factory in Mexico,’’ said LG Display spokeswoman Kang Moon-jeong. The new module plant is the seventh after two plants in South Korea in Gumi and Paju, three in China in Guangzhou, Nanjing and Yentai and one in Wroclaw, Poland. LG Electronics’ latest 3D Cinema Smart TV. Source Korea Times. The war in the TV market between Samsung Electronics and LG Electronics is expected to be fiercer than ever this year. LG Electronics released a new model this month, around a month earlier than usual. It used to sell the previous year’s models at the beginning of the year, but this time seems to be an exception. As Samsung Electronics is also releasing new smart TVs from February, the all-out war over the latest products is soon to intensify. The TV market has some events that the companies shouldn’t miss out on. The London Olympics this summer, often a motivation for households to buy new sets, and the halt of analogue broadcasting, which means people will need digital TVs, are expected to boost the local TV market to around 2.8 million sets this year from 2.3 million last year.